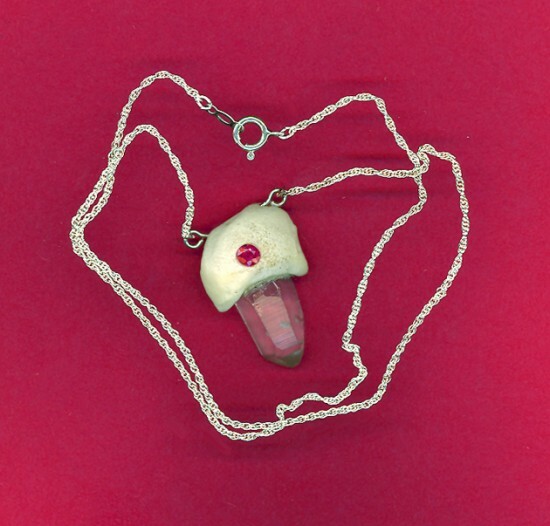 Columbine Phoenix is a talented jeweler with a taste for the macabre. She makes unique jewelry from human bones collected from medical schools and museums. We’ve covered some pretty bizarre jewelry collections in the past, some were made from insects, others from nail clippings, and even human hair, but Columbine’s “Churchyard” line is the weirdest one yet. 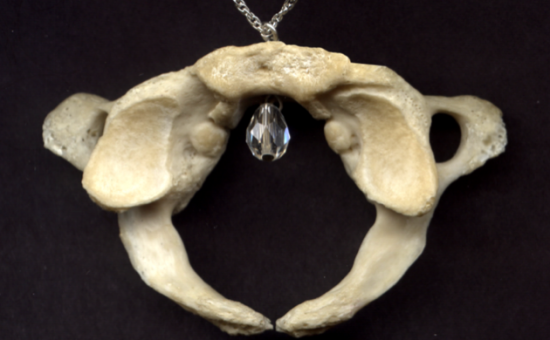 She uses various human bones donated for educational purposes and transforms them into unique pieces of jewelry that actually celebrate life rather than death. “Death is a part of life” the designer says in an interview with Vice Style “You can’t die unless you’re alive, and if we weren’t going to die eventually, a whole lot of us would never get around to living.” Strangely enough, that makes sense. As a child, Columbine Phoenix loved shiny things, and she remembers playing pirates with her brother by stealing her grandmother’s rhinestone button collection from each other. Later she tried making embroidery-floss friendship bracelets and seed beads woven on a loom, but quickly lost interest in things everyone else was doing. She started making jewels from seashells, feathers and other stuff provided by nature, and when a friend from medical school asked her if she wanted to buy some small human bones for her work, she decided to give it a shot. His department was consolidating the bone collection and when he showed them to her for the first time, she knew they were just perfect. Human ivory she called them. Columbine has always been interested in the paranormal, and also has a thing for goth culture, so making jewels from human bones sounds pretty logic. She never knows to whom the bones belonged to, and never really plans what stones to add to a certain bone piece. Ms Phoenix thinks that “if you take your time and are respectful and quiet, beauty has a language of its own that will speak through touch and image”. 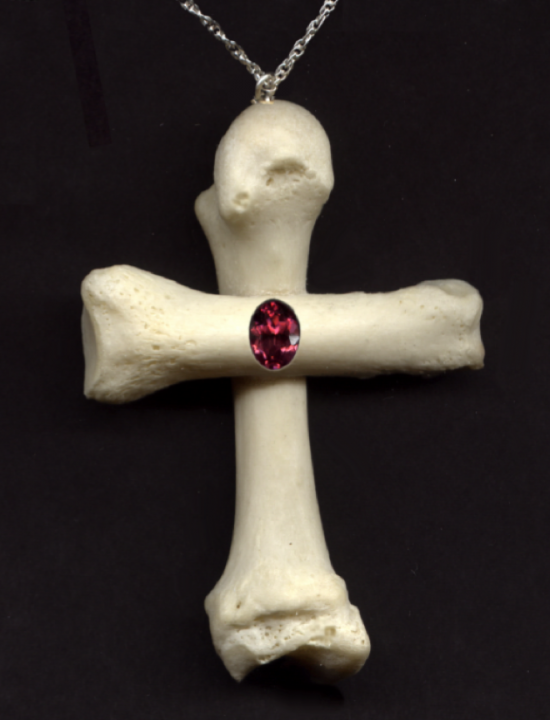 Churchyard jewelry are sometimes bought by people who want to freak out their friends or wear them in goth clubs, but most of clients are doctors and otherm medical professionals who “appreciate the human body as the gorgeous masterpiece of engineering that it is”.